Regardless of your business in Durham, it needs protecting. This is exactly what Automation & Security have been doing for the last 20 years in the North. 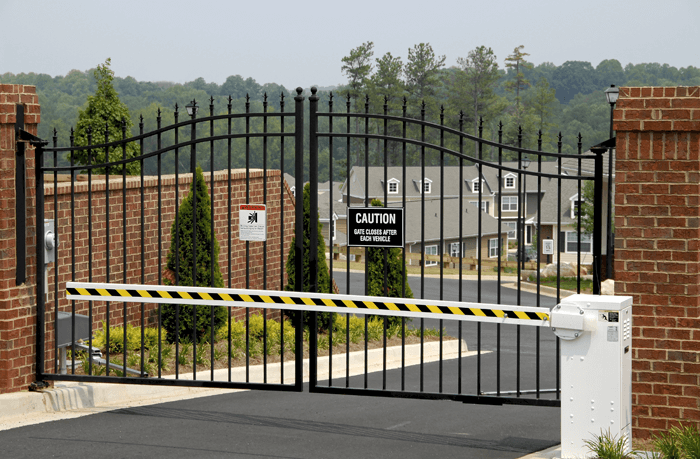 Whether it’s electric gates for your gated community, sliding gates for your industrial property or bollards for your sports centre, get in touch. Automation & Security provide a wide range of security solutions including security gates, barriers and bollards. Add to these range of products access control and PAS60 anti-terrorism options and they have all your bases covered. Working with all the major manufacturers of automation, Automation & Security can provide a wide range of electric gate options from cantilever, swing to sliding gates. It all starts with an initial survey of your property and they are then able to put together a solution to match your exact business needs. This will all depend on your access options, the traffic you can expect and whether access control is needed. They handle all aspects of the project from installation, delivery, supply and maintenance. Whether you are upgrading an existing system or want to install new security solutions, get in touch. Another part of security is traffic flow. Managing traffic in and out of your property is vital to many industries, especially sports centres, retail parks and of course car parks. Barriers can either be manually operated or automatic arm barriers which can be integrated with your existing employee database, stopping unauthorised access to your property in Durham. Bollards can have many uses. From separating pedestrian’s areas from roads to protecting sensitive areas from risk of ram raid. These can be either fixed or retractable and can be designed with the aesthetics of your property in mind, making them unobtrusive. Bollards can be retracted when not in use and activated when needed. They are normally seen in areas such as financial institutions, car dealerships, sports centres and airports. With the times we live in, more and more businesses are considering the next level of protection and high impact security solutions, whether it’s road blockers, gates or bollards PAS60 security solutions give you the peace of mind that your property will be protected from risk of ram raid even at high impact speeds. It all starts with an initial chat to find out your exact security requirements in Durham. Give us a call now on 0191 456 3399 or email us via our contact us form.